Couples who plan to renewal their marriage vows get an extra bonus: Every year you are marriage equals price reduction of 1% on the wedding package. For all sports enthusiasts, we have set up a small gym. Exotic dishes have been part of the European cuisine for quite some time – but where do you learn best to prepare them with all tricks and finesse? Here, of course, where they originate. 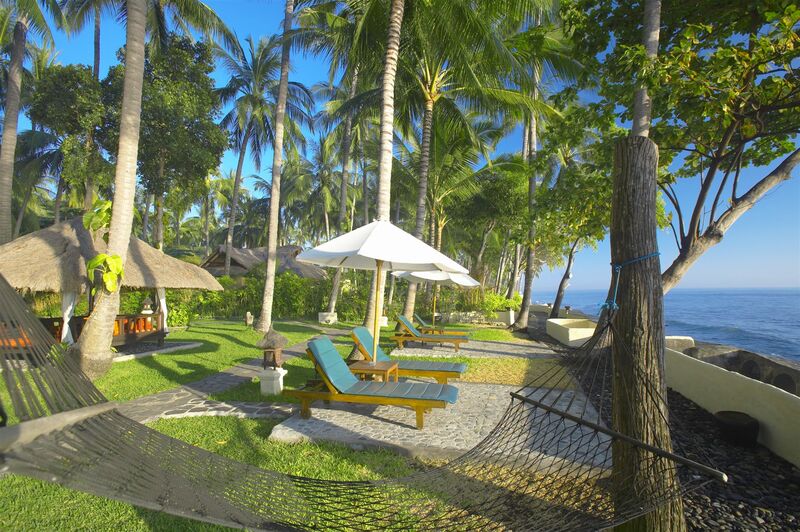 Not only do you learn Balinese cookery in the Gado-Gado-Cooking-Course at Alam Anda Ocean Front Resort & Spa, but also everything worth knowing about the local spices and other ingredients too. This is exactly the right atmosphere to prepare special dishes like Nasi Goreng, Kari Ikan or Urab Bunics yourself, with the professional instructions of a Balinese cook. 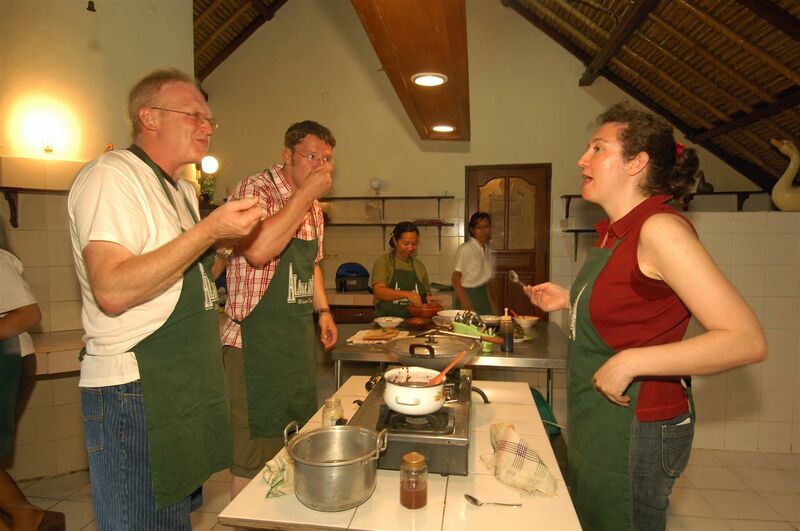 The cooking course is held at the Gado-Gado-house. The building is named after a typical Indonesian salad dish composed of different vegetables with a peanut dressing. Gado-Gado is traditionally served as a main dish, but can also be served as a side dish with meat dishes. Gado-Gado could be translated as “hotchpotch”, which expresses the variety of ingredients. Variety is also the motto for the cooking course: an introduction to many different spices, pastes and ingredients is part of each cooking course at Alam Anda Ocean Front Resort & Spa. Together with the Cooks, you can go to the market at Penuktukan early in the morning and experience a variety of spices, fruits and vegetables that leaves many Europeans stunned. The courses start every Saturday at 4.00 pm. You are cooking 5 to 6 different dishes per course. The restaurant by the pool is the perfect place to enjoy food preparation. The sea view is wonderful and the sunset marvellous. You can take the recipe for a whole menu with you to be able to prepare the dishes at home and live on your memories of an unforgettable holiday at Alam Anda. 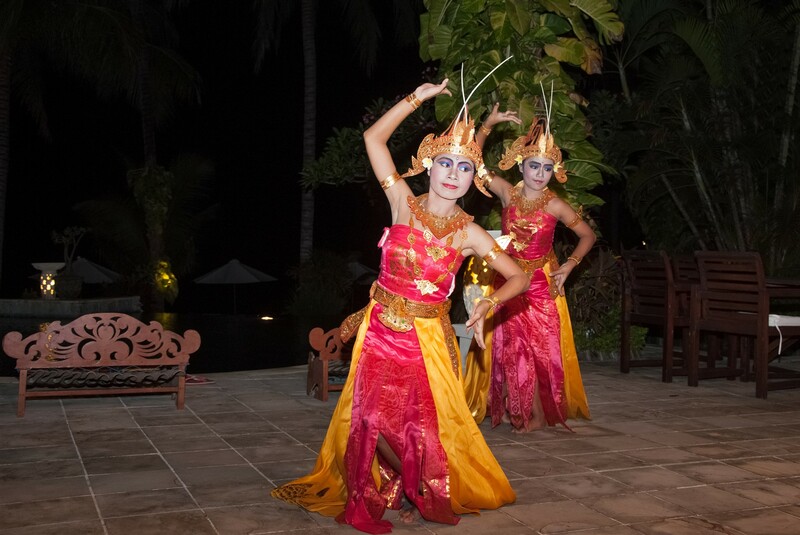 Every Sunday at 3 pm a Balinese dance teacher offers dance lesson for the children from the village. Of course you are welcome to join. It is a special experience to watch those sometimes really young dancers (starting at the age of 8) while learning those impressive moves. After the dancing lessons to the kids dancing you have the possibility to enjoy one or two Balinese dances, presented from the young girls and boys in traditional, Balinese robes. 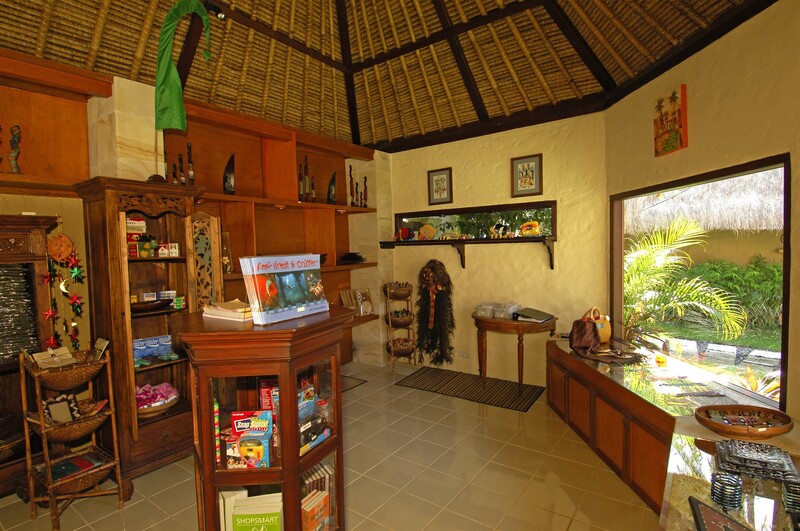 Our souvenir shop offers the opportunity to look around. We offer typical Balinese souvenirs like sarongs or carvings. More over you can buy postcards and Basic articles like sun Lotion or shampoo. The area around the Alam Anda has no options for shopping.